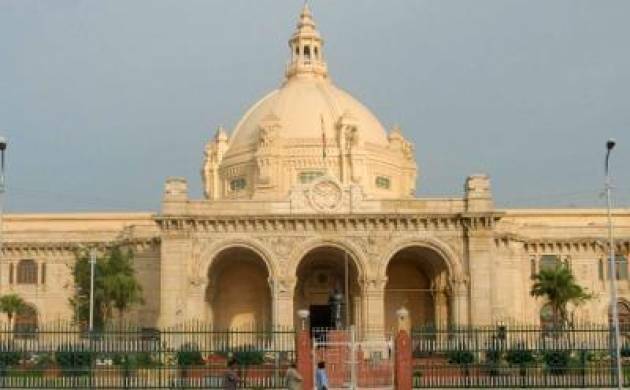 The first session of the newly elected Uttar Pradesh Assembly commencing on Monday is likely to be a stormy affair with the opposition parties deciding to take on the Yogi Adityanath government on the law and order front. The government too is arming itself with all the relevant data to hit back at the opposition, which has only 74 MLAs against the BJP and its allies’ massive strength of 325 in the 403-member House. The BJP legislature party met on Sunday to fine tune its strategy to counter the expected opposition onslaught and also to highlight the achievements of the government in its nearly two months in office. During the six-day session, the state bill for implementation of the Goods and Services Tax (GST) will also be tabled. The opposition BSP and SP also convened their respective legislature party meetings to discuss ways to corner the government, especially on the law and order front. Samajwadi Party party chief Akhilesh Yadav has raised questions about law and order in the state while BSP leaders too have expressed similar concerns. Recent caste and communal disturbances in Bulandshahr, Saharanpur, Gonda and Sambhal are likely to be raised by them to pillory the Adityanath government as the BJP had come to power in UP on the law and order plank, terming the situation during the Samajwadi Party government as ‘goondaraj’. “We were termed the goonda party. Now, what is happening under Yogi ji? Will he act?” former chief minister Yadav said. The SP’s strength has decreased but its morale is high and the party will target the government on the law and order front, said an SP lawmaker. He claimed that crime had increased with people wearing saffron scarfs taking law into their hands and attacking even the police. BSP leader in Assembly Lalji Verma too spoke in a similar vein saying his party MLAs will raise law and order issues and also the rise in atrocities against Dalits. The session will begin with Governor Ram Naik addressing a joint sitting of the state legislature where he is expected to highlight the achievements of the government. The highlight of the session will be the state bill for implementation of the GST, for which a workshop will be held in Lucknow for all MLAs and MLCs on Monday, coinciding with the first day of the session to provide them with adequate information on the matter. Earlier in the day, Speaker Hridaya Narain Dixit convened an all-party meeting where he requested floor leaders to ensure smooth proceedings so that maximum legislative business could be transacted. For the first time in recent years, no one from SP patron Mulayam Singh Yadav’s family would lead the party in the Lower House as Akhilesh has named Ram Govind Chaudhary as the Leader of the Opposition. Another interesting feature will be the change in the seating arrangements in the Assembly. Swami Prasad Maurya and Rita Bahuguna Joshi who were BSP’s leader of Opposition and a Congress MLA, respectively, in the previous regime would sit in the treasury benches this time as BJP ministers. In the Legislative Council, where SP has 66 members, former minister Ahmed Hasan will be the Leader of the Opposition. It will also be interesting to watch whether Akhilesh attends the session he is a member of the Upper House but had rarely attended proceedings when he was the chief minister. The Assembly secretariat maintained that there will be six sittings in the first session. From Tuesday to Thursday, time will be given for debate on the motion of thanks to the Governor’s address, which will continue till next Monday. The House may have more sittings if Business Advisory Committee of the Assembly so decided. During a two-day recent training and orientation programme for legislators, the CM had stated his intention that the government wants to have at least 90 days of business at the House per year.